Her research reflects her training in international relations and international law, spanning the law and policy of outer space affairs, the geopolitics of critical infrastructure investment, and the foreign affairs of Japan in Asia and the world. She has published a half dozen book on these themes, bringing together economic, political, and legal strands to better analyze the changing fortunes of the contemporary world order. 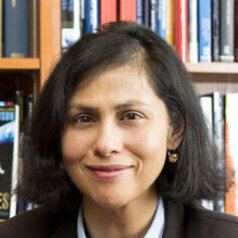 She serves as Co-Chair of the U.S.-Japan Space Forum, and directs both the Space Security Initiative and the Emerging Frontiers project at the University of Washington.